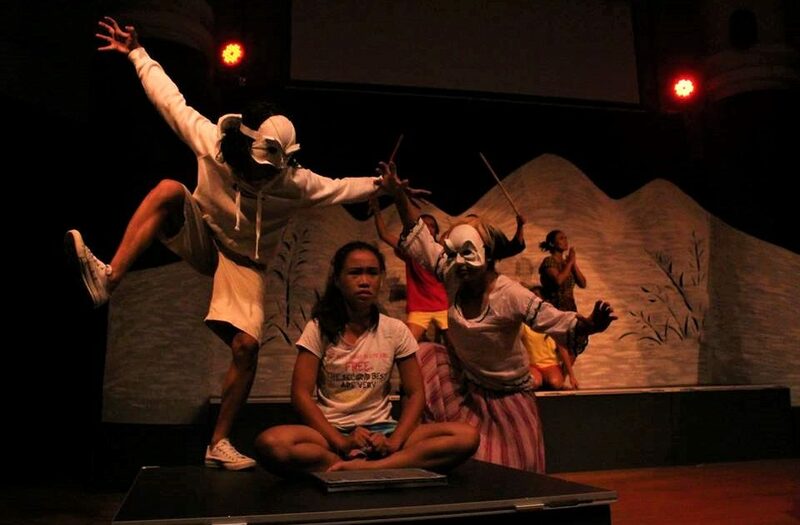 YATTA is a youth theatre organization from Dumaguete, Philippines. 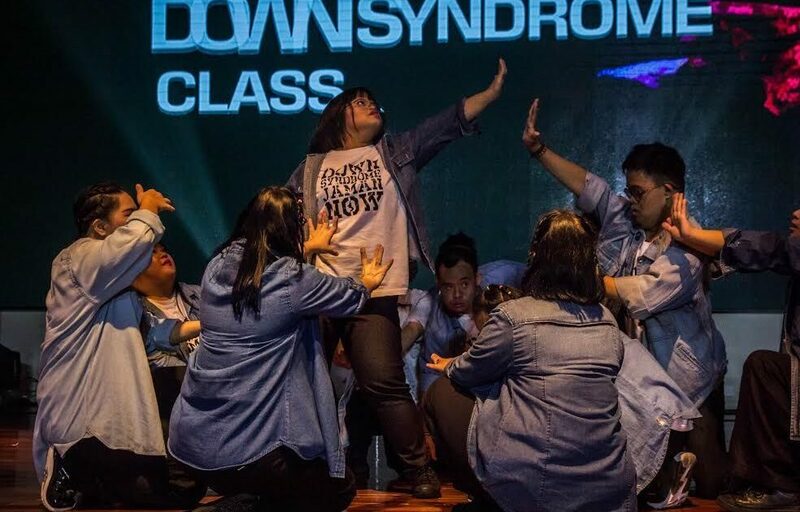 Formed after a theatre workshop in November 2005 facilitated by PETA artist-teachers Dessa Quesada Palm and Jeff Hernandez, it aims to raise people’s awareness on various issues, especially children and young people’s rights, through theatre. YATTA believes in PAGASA, the kind of hope that emerges from young people moving from being the object of history to being the subject of history, who acts and engages in shaping what is to be. A play about a Motherless boy who looks a little different from the rest. Bullied and teased by his peers, he goes on a quest to find out more about his maternal families history and to reveal his true identity. A mystical play that teaches us the value of inclusion. Utilizing simple materials such as tissue, gelatin, chocolate and others, the workshop will explore ways of creating make up for your horror flicks. 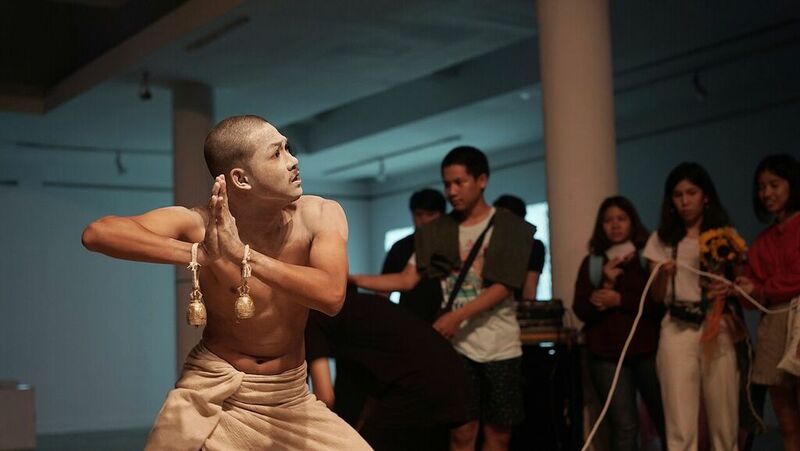 Established in 2011, Khaoniew Theatre Group has been actively performing and creating theatre plays such as Khoonlu Nangoua in 2012 and Cycle of Life in 2014. It also co-produced puppet shows with Japanese artists in 2007 and a theatre play with Teatr Piba; a French theatre company. 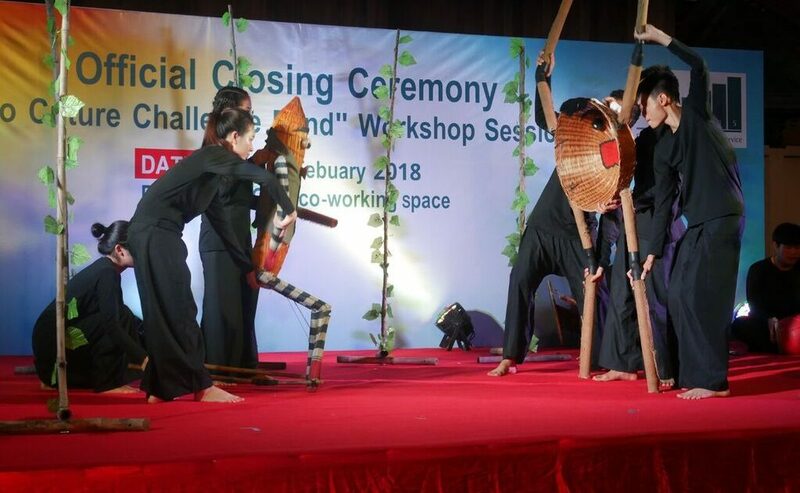 The experiences that Khaoniew Theatre Group has gained from performing internationally have motivated them towards continuity in creating items unique for both local and foreign audiences. 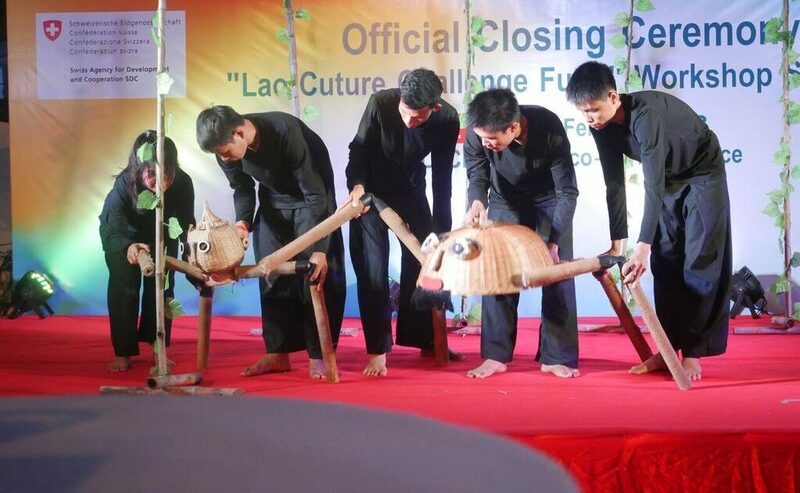 It has grown over the years and even organized a series of successful arts events such as the Vientiane Performing Arts Festival in 2015 and 2016. 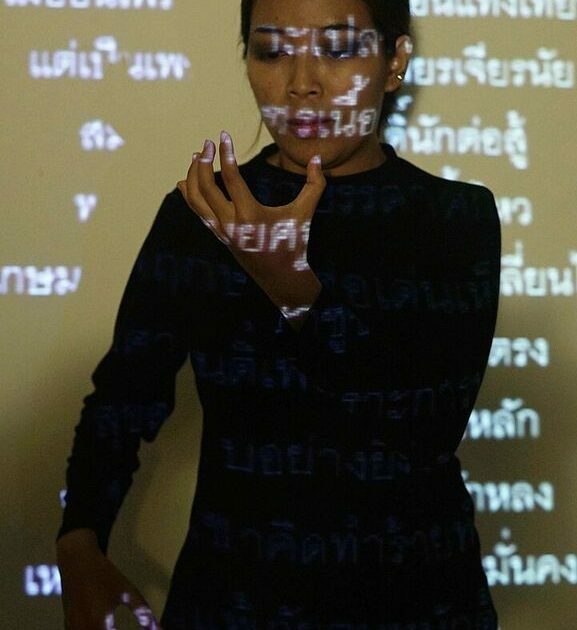 Performance: IMAGINE BOX – *Performers from Khaoniew Theatre are hearing impaired. What are the limits of your imagination? This box has six sides and from it, new stories constantly emerge two girls resolving their friendship, a family in conflict, a forest under threat. A mime piece involving puppetry and physical theatre. 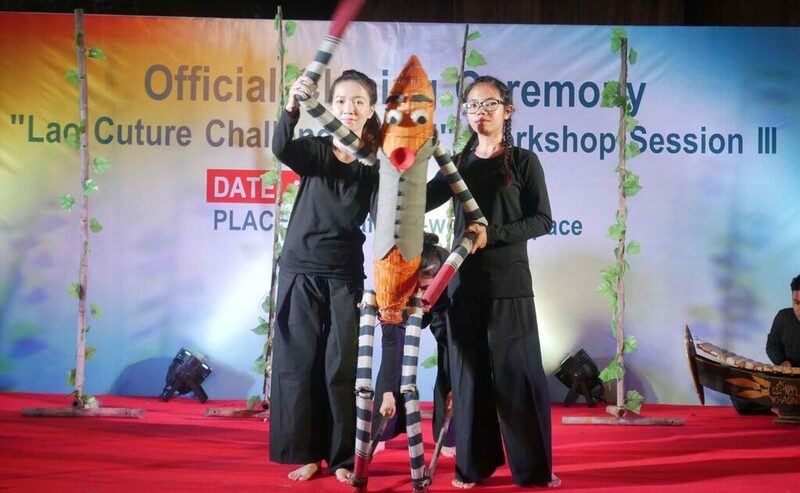 An introduction to Puppetry and how it is interpreted by a hearing-impaired community. What are its benefits and how does it expand/broaden your own perspective of theatre as a tool for communication? 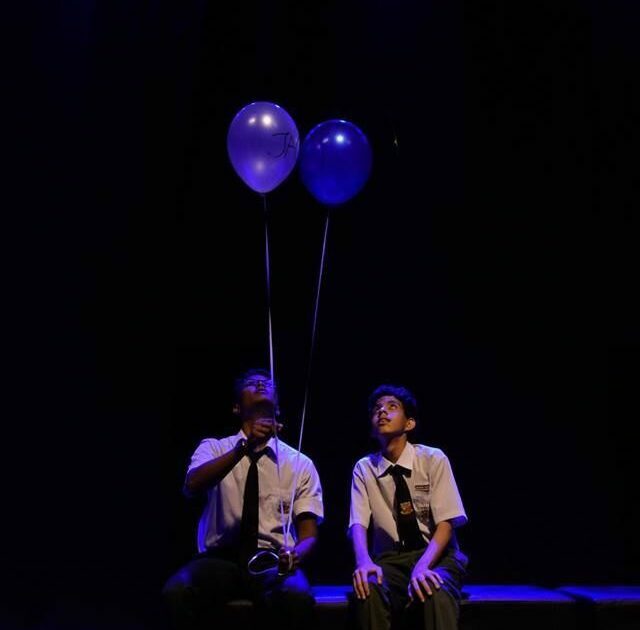 Established in 2008, Seeds Theatre aims to promote theatre and the performing arts to locals and enhance the talents of Bruneian students who are studying in government schools as these were the ones who lacked the most opportunities. This non-profit drama education organization was founded by Mr Syafiq Haji Abu Bakar with the aim to promote the arts and present more performing opportunities for the locals. It served as a platform for the locals to showcase their creative talents. 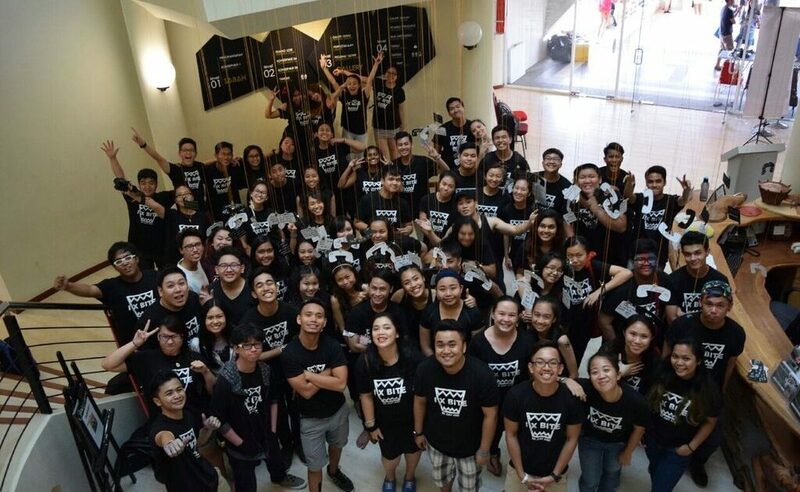 Seeds put together an art culture that is mixed with the Bruneian way of life so that it not only give these youths awareness of the arts but also on the proper life skills in the Bruneian context. This story is about a group of people originating from different backgrounds and the challenges they face. Sid is a girl whose dream has always been to be a singer. Her mother is supportive, but everyone else doesn’t seem so happy. Her best friend is envious and tries to sabotage her performance, her boyfriend is controlling and wants her to dream of nothing more than him, her father believes singing will leave her poor and destitute. Will Sid overcome these obstacles? Is her mother’s support enough? Or will passion alone help her achieve her dream? 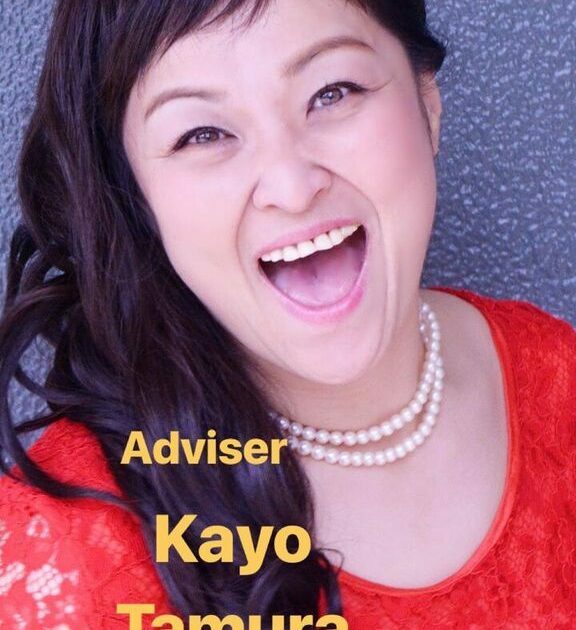 Come learn about acting from a Bruneian perspective. 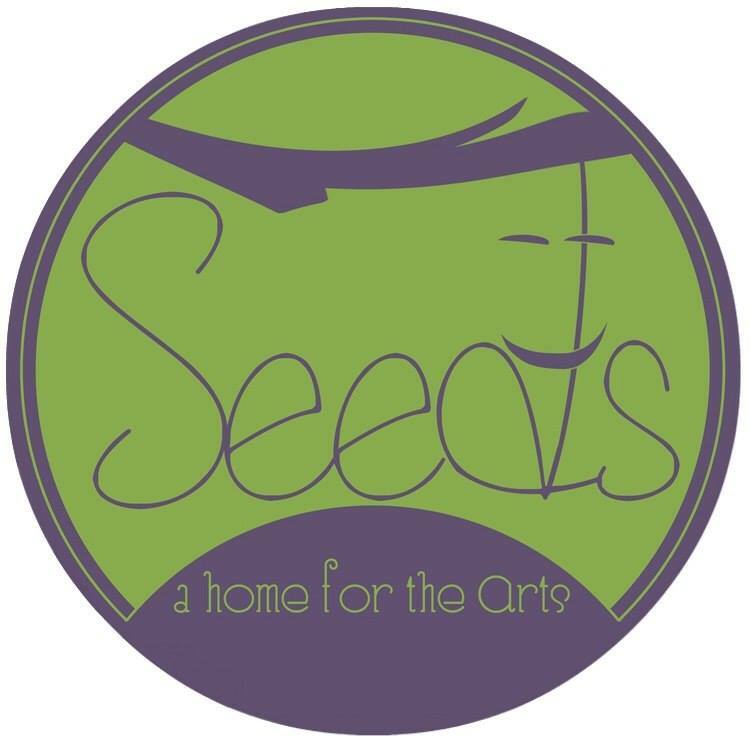 Seeds have created their own art culture that is mixed with the Bruneian way of life, offering you not just arts skills but practical life tools. 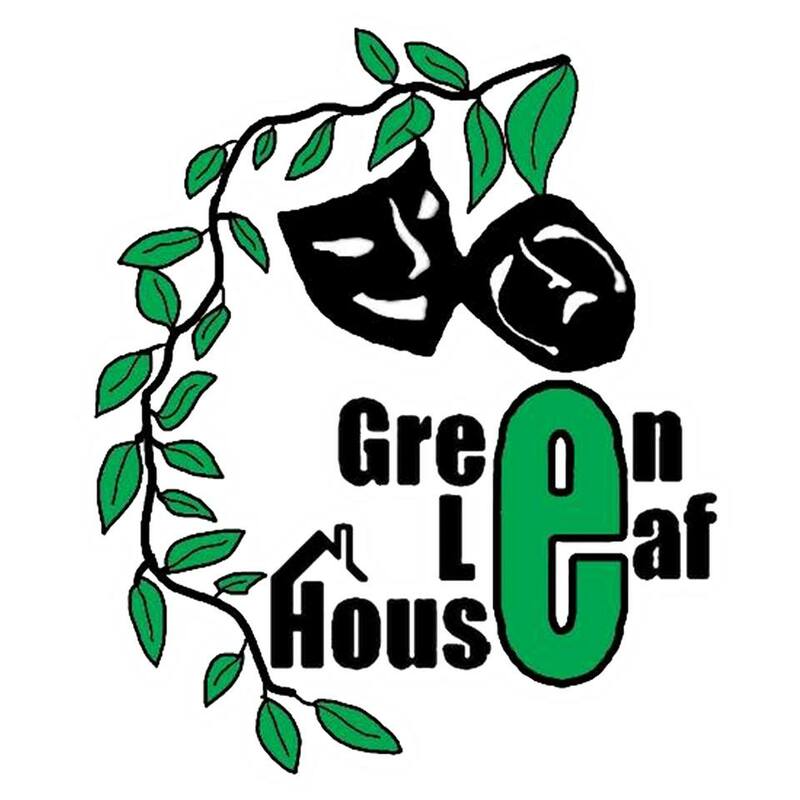 Green Leaf Theatre House is an NGO (Non-Governmental Organisation) from Sabah Malaysia. 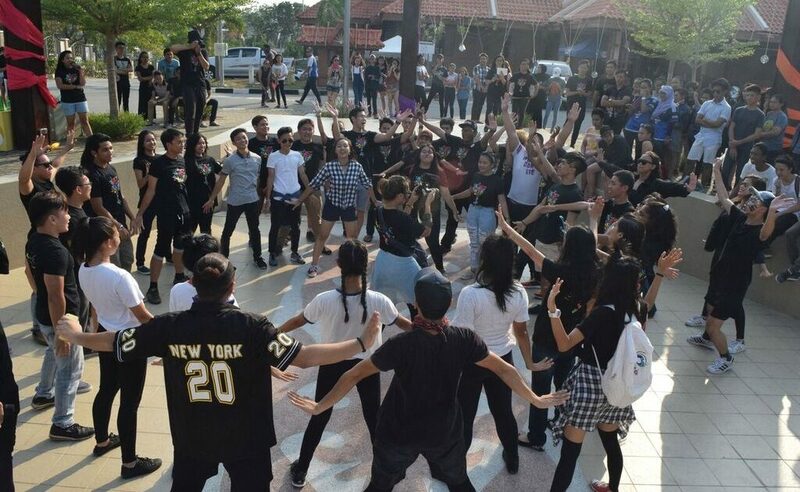 It hopes to introduce the stories of Sabah and its people through performing arts, as well as engage and explore the talents of young Sabahans. 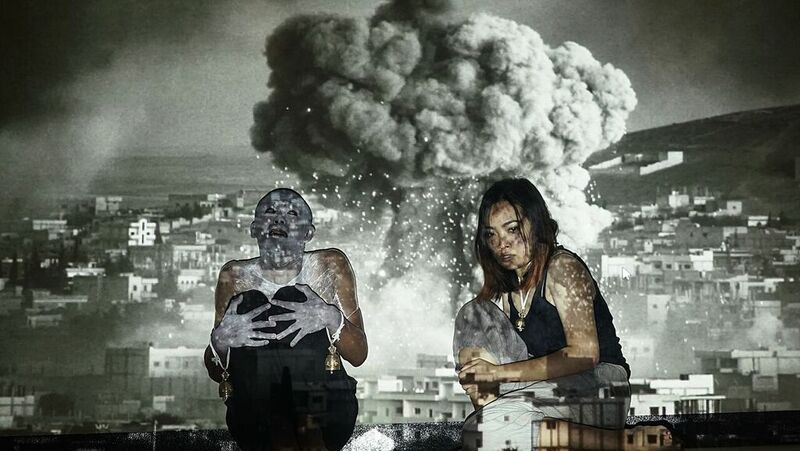 “Sandcastle” is an attempt to challenge the base of human relationships, in a Malaysian setting. An exploration of racial identity in a pluralistic, young and developing nation through the friendship of 3 secondary school students, “Sandcastle” is a provocative play that questions issues of friendship, maturity, belonging and inclusivity in a diverse country. The play follows 3 friends who built their friendship through a myriad of shared experiences – a true portrait of how innocence brings about acceptance. This innocence is however challenged when they leave school and are forced to face the realities as young Malaysian adults and how society discriminates access to education by putting people into labelled boxes. 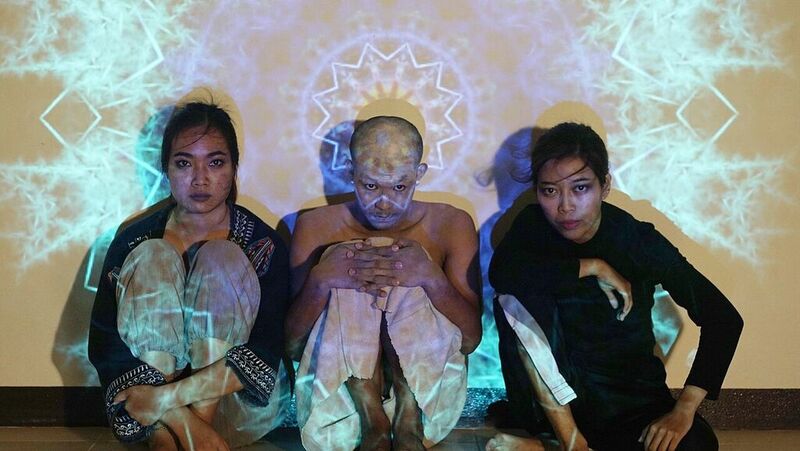 “Sandcastle” is inspired by “Parah”, a play by Instant Café Theatre first staged in Singapore and Yasmin Ahmad’s final movie, “Talentime”. Everyone wears their own mask in life and not one mask is the same as another. However, we all share a common stage we call life. How can every individual’s unique mask be included and gain access to life as a significant player? This workshop explores individuality, understanding and acceptance. 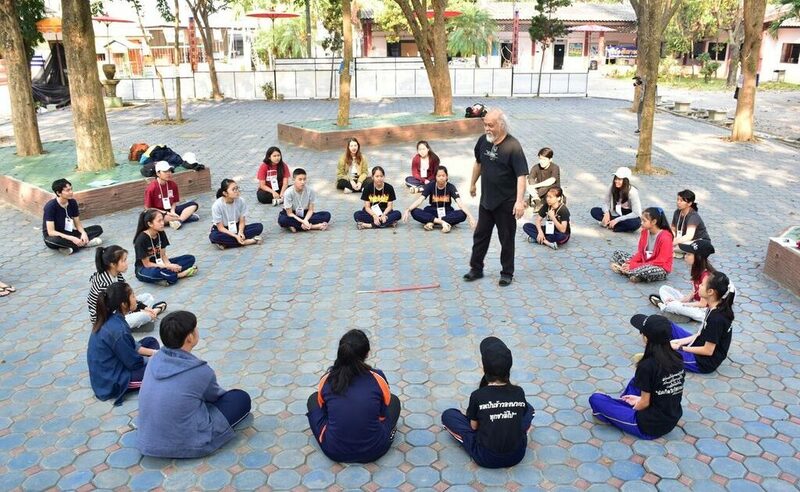 Lanyim is a Thai word that means smiley playground, as the group’s concept is that a child can learn from a playground as much as from a classroom. 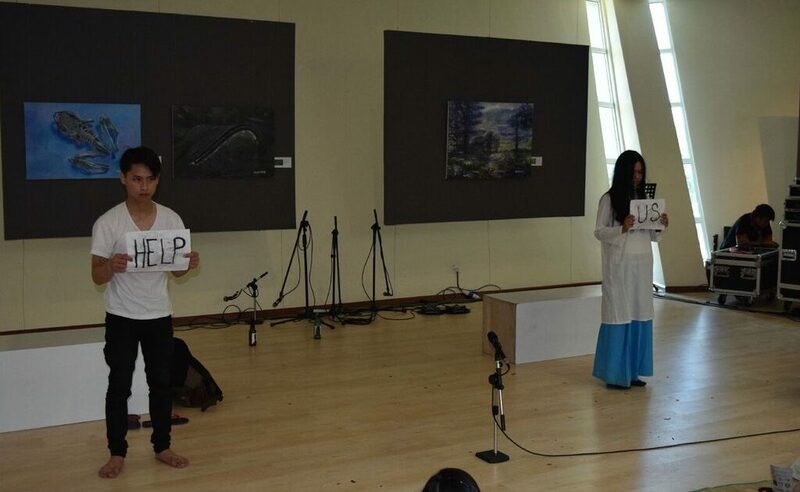 In 2016, Lanyim started Theatre for Social Change using Devised Theatre Process in Lampang province, the northern of Thailand. 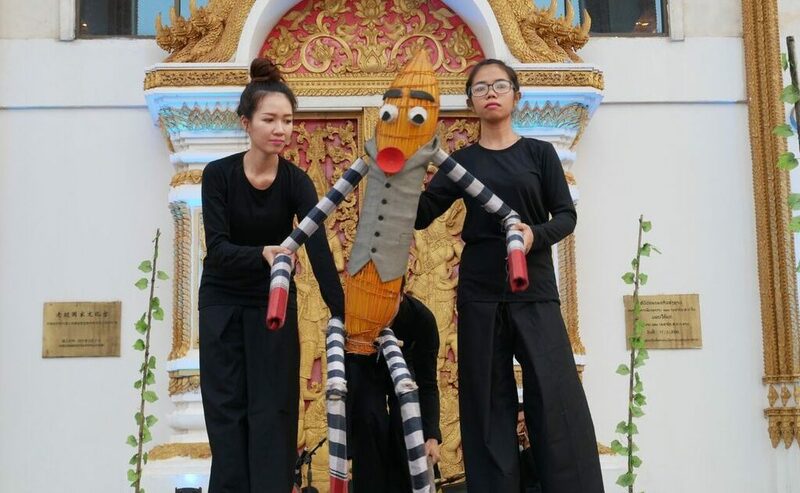 In 2017, we moved to the southern province of Patthalung to work on theatre for social change but changed the method to shadow puppetry under project Design and Form Local Communication Through Shadow Puppet. Lanyim also joined other theatre festivals, such as KONGPAKPING D-JUNG (2016) on education, politics, ethnicity, and identity. 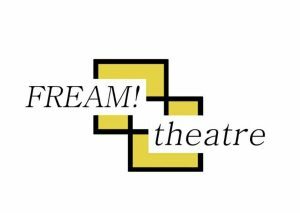 In 2018, Lanyim Creative Group established Lanyim Theatre to focus on theatre and performances for social change. It is currently holding theatre workshops and conducting experimental research on Theatre Process as an Approach to Understand Social Issues. 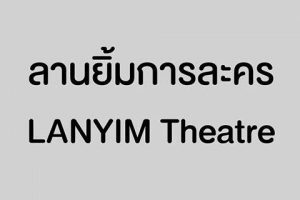 Lanyim Theatre’s long-term goal is to establish Children’s Theatre and a Theatre Festival in Chiang Mai. Reborn represents an identity contestation for stateless people wanting their existence to be noticed by citizens and the state. In the multiple cases Thailand has faced, many have ended in misunderstanding, bias, and violence. 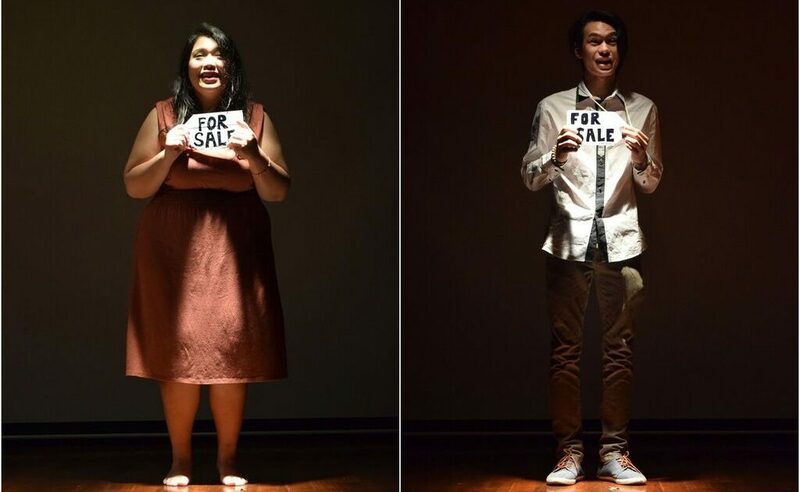 Lanyim Theatre aims to use Reborn in order to represent this chronic problem as an initial topic to communicate social issues through theatre art. Workshop: THEATRE FOR SOCIAL CHANGE. 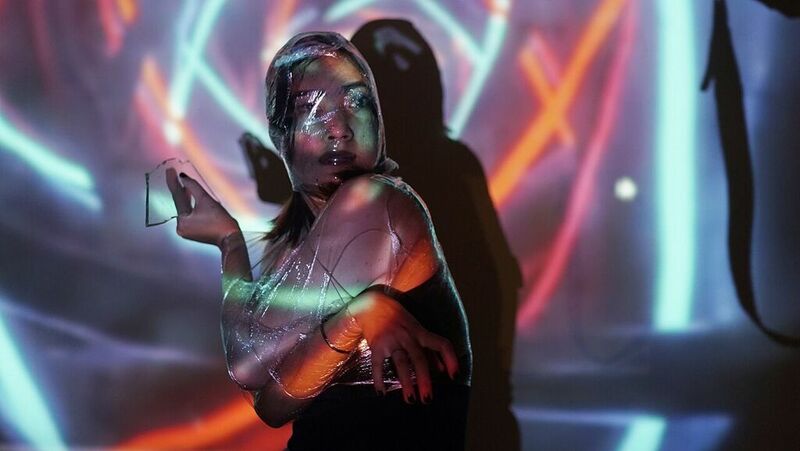 This workshop offers participants the opportunity to study their societies, detect problems or social issues, and try to solve them by using the stage as a virtual society and performance as a virtual situation. 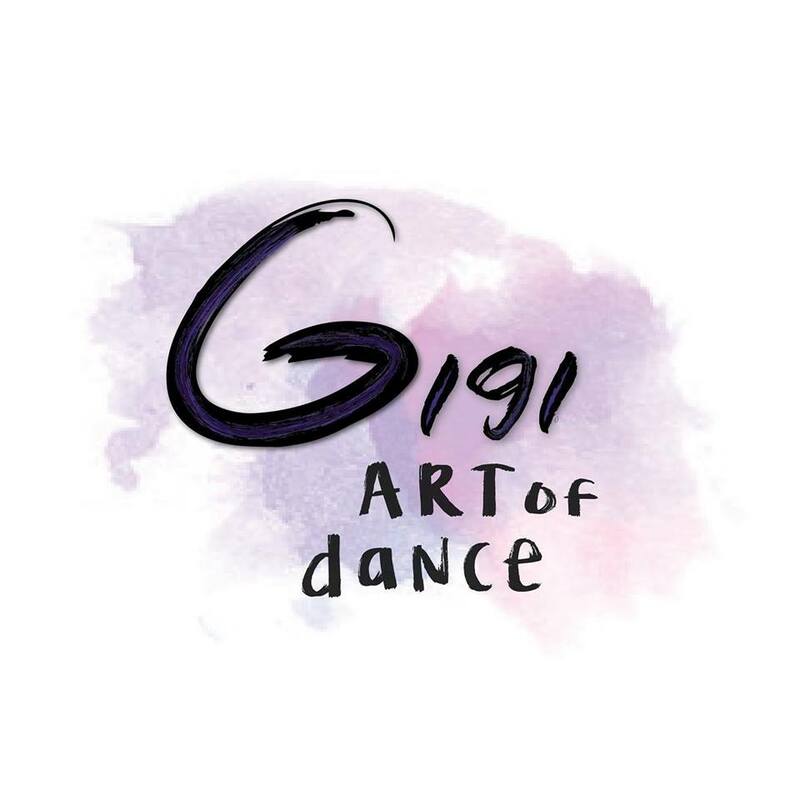 Gigi Art of Dance is helmed by Gianti Giada and established in 2009 in Jakarta, Indonesia. It strongly believes in telling stories through intricate movements. 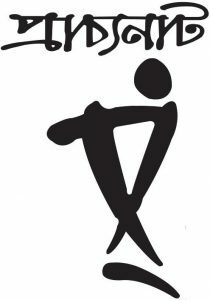 Through annual camps and structured programmes, it hopes to spread the love of dance to all the youths. Gigi Art of Dance will be bringing their unique style of incorporating aspects of Indonesian culture into Western styles of dance theatre. A story illuminating the opinions and diversity of culture, as our Indonesian friends consider their response to the idea of beauty. Highlighting those of different race, background, age, lifestyle, disabilities and even privilege with the hope of empowering choice and respecting the right to freedom of choice. Indonesian diverse culture, focusing mainly in Saman Dance, A thousand hand dance from Aceh, Sumatra. Participants will be learning the hand movements, the history behind the movements and also vocalization and singing that accompanied the dance. Challenging their coordination and teamwork in a fun way. The Inwa School of Performing Arts is a cultural high school in Mandalay, Myanmar that prepares young artists to perform Myanmar classical dance and music at professional standards. Established in 2016 by Arts Mandalay Foundation in collaboration with Mandalay artists, it provides continuity for excellence in classical arts and aims to extend their reach to worldwide audiences. 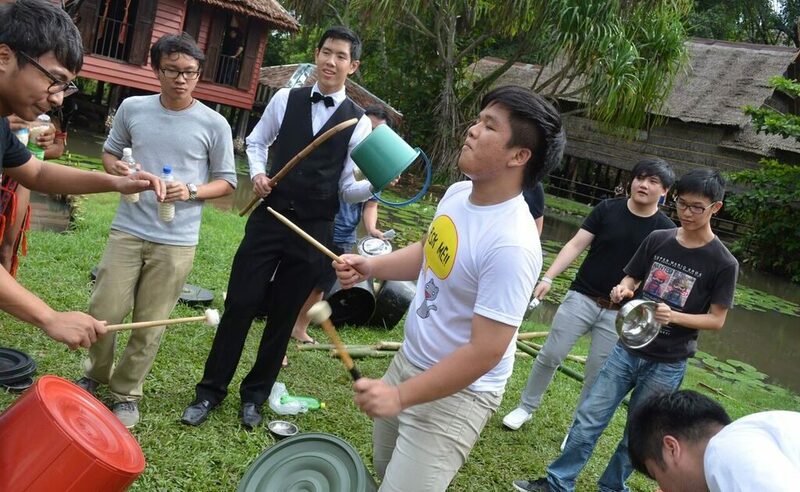 The Inwa School aims to explore modern teaching, performance and entrepreneurial ideas for the classical arts. Three young children are orphaned at a young age, torn apart by tragic yet common circumstances in their homeland. Fate brings them together, and they encounter a range of human experiences: tragedy, humiliation, hope, disappointment, exhilaration, and finally, redemption. The characters of the play are as timeless as humanity: protagonists, villains, and saviours. It is a tale of the power of true friendship and shared experience. Workshop: The traditions of Mintha Theatre, Mandalay. 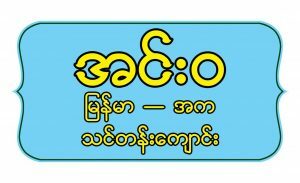 An introduction to the style of theatre common to the Burmese. Introducing the colourful and diverse characters that help to tell the traditional stories. Using music, movement and dance techniques to share their stories. Prachyanat was born from a collective dream to present theatre as a force of good. 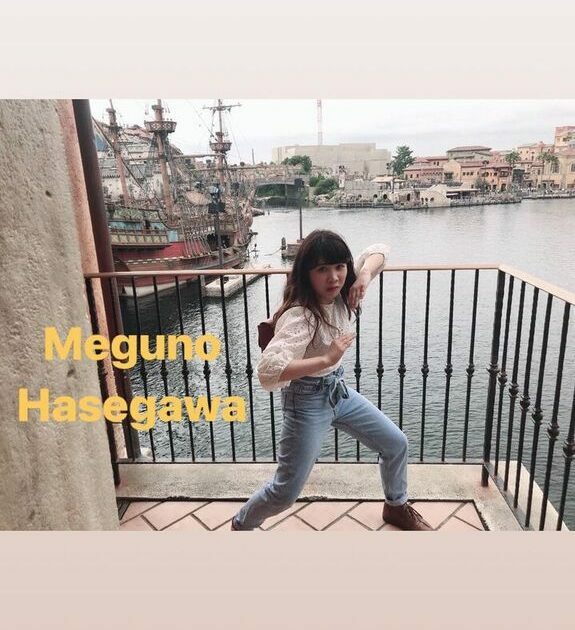 The youths who make up the group differentiate the troupe from the others in the already overcrowded theatre scene through their dynamism and their daringness. Hailing from Dhaka, Bangladesh, Prachyanat is set to bring their local flavour into the mix. An original piece, based on the refugee crisis in Rohingya, Myanmar as the displaced arrive and attempt to settle in Bangladesh. A considered and heartfelt response to our changing world. Theatre production is always based on a theme and it contains different types of rhythm. By using these two essential elements (rhythm and theme) some interesting and relevant chorus can be developed. And this chorus helps a lot not only in acting but also in production design. Fream! 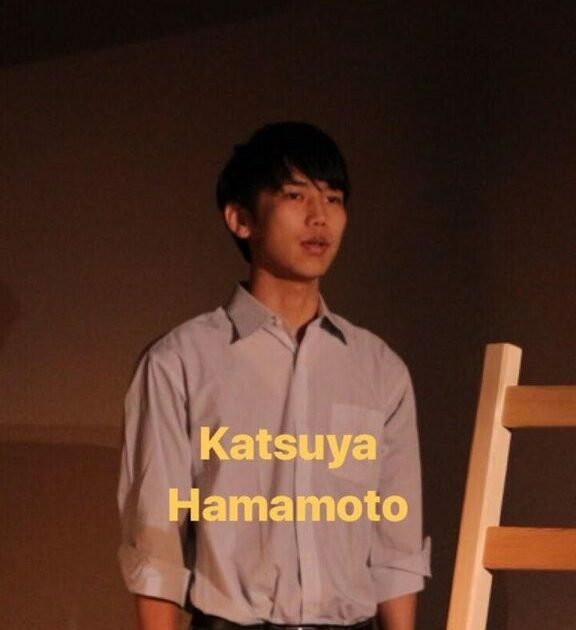 Theatre was born in late 2016 and headed by Hiroki Okido under the tutelage of Gumbo Theatre’s Kayo Tamura and Aya Minamida (Gekidan Osaka Shinsengumi). 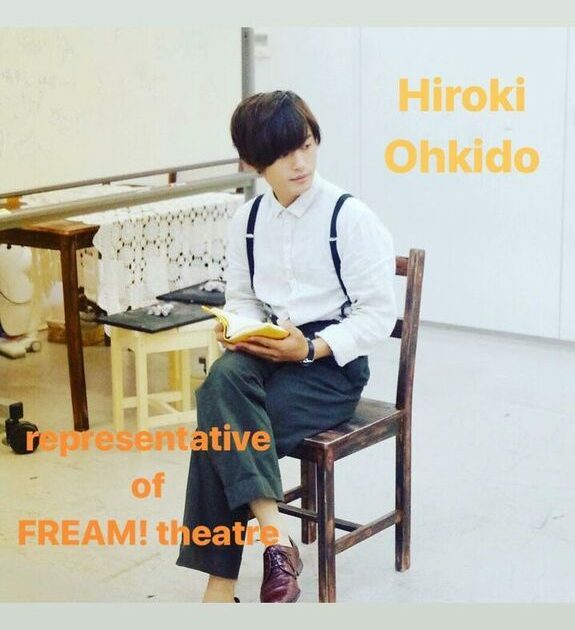 With all of Fream!’s members coming from a variety of backgrounds ( Fashion and Theatre), Fream! seeks to create theatre pieces by youths for audiences of all ages. 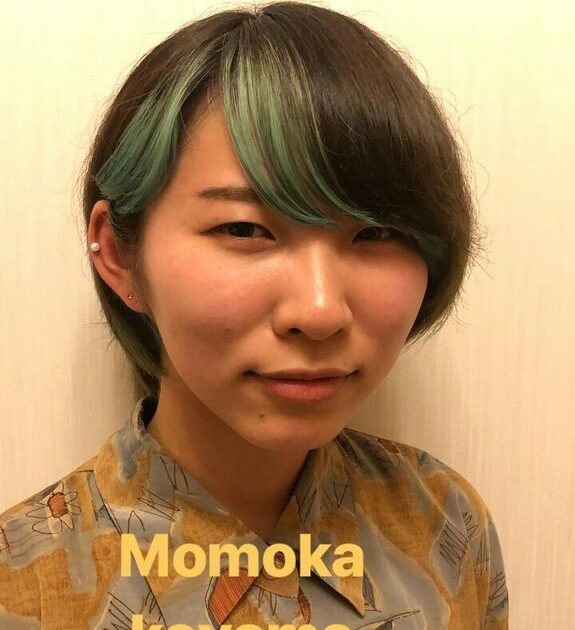 Drawing inspiration from the vibrant city, Fream!’s artistic style and quality is a direct reflection of Osaka and it’s a colourful character, Hiroki’s vision of Fream! is for the company to create works that are relatable that will inspire and unite people across all borders. Fream! 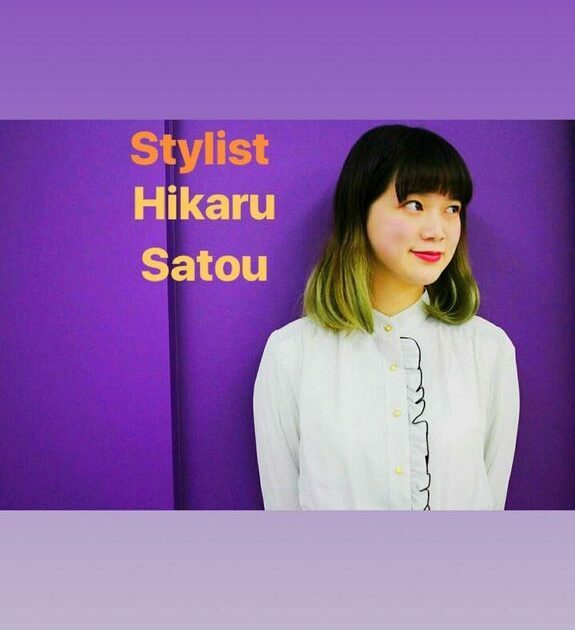 has performed and collaborated for Kamikoma Cats in Kyoto, Sakai Art’s Festival in the piece, HagiDaimyo and Kizugawa Tea Party which went on to receive the Award for Contributions to the Development of Uji-cha Tea and Overseas Promotions. 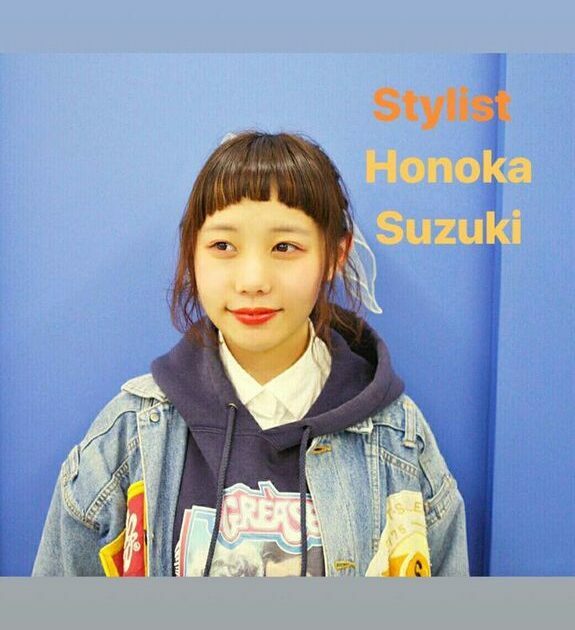 A cyclical tale focused on the education system in Japan and its effects on the current youth culture through the decisive severing of souls. Our protagonist is deconstructed and reformed by the system, collateral damage is a given.